Bestpartner » Catalog » WT-4042 Cable tester with LCD RJ-45. 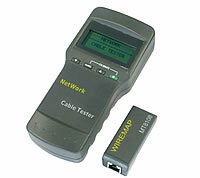 WT-4042 Cable tester with LCD RJ-45. Price: 234.00 PLN / pcs Price: 57.55 € / pcs Add to the basket.